$150. 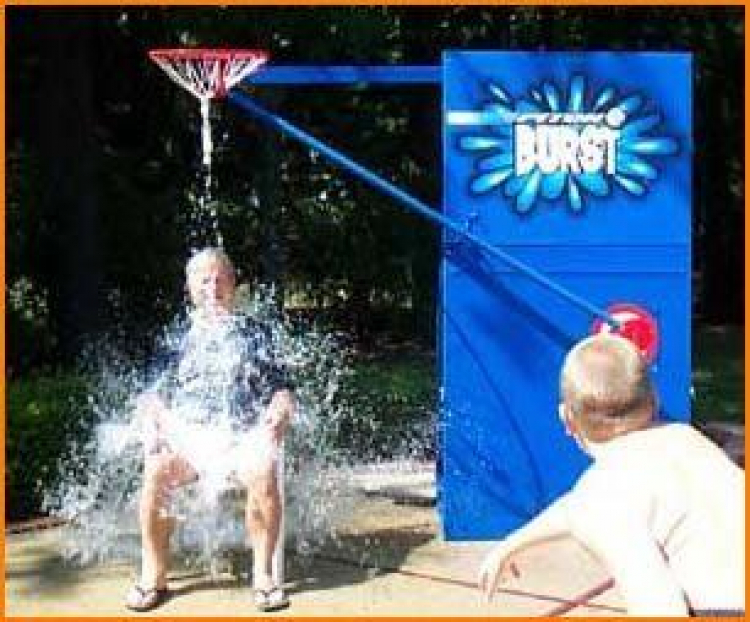 Great dunk tank alternative. 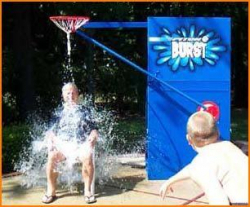 "Victim" sits under a 9" water balloon ready to BURST if the player hits the target. Balloons and balls supplied. Customer supplies chair and water source to fill balloons. Some assembly required.